Nothing drives away my Monday blues like wearing clothes that make me feel happy. In my opinion, clothing is like my second skin, therefore, wearing fun pieces is a must. 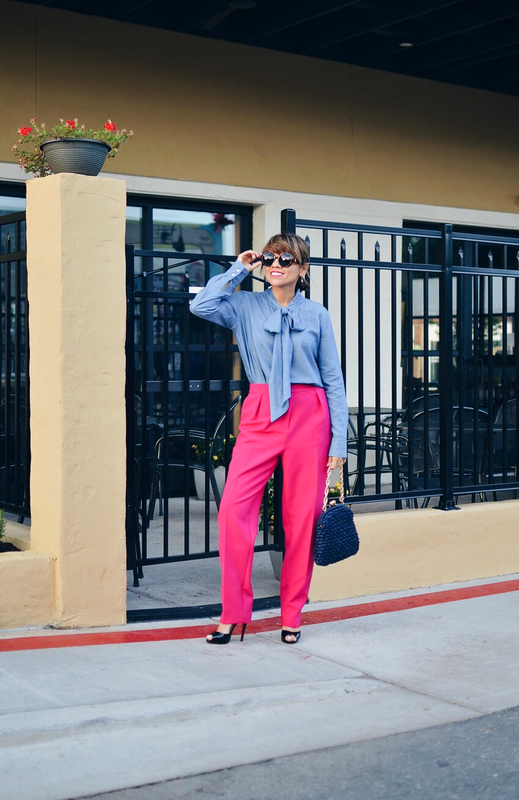 At beginning of the year, I purchased these baggy Peg pants in this bright shade of pink with the intent of improving my relationship with this feminine color. So far it's been a fun ride since these pants have become a great garment to wear to spice up any neutral colored outfit or compliment other bright colors. 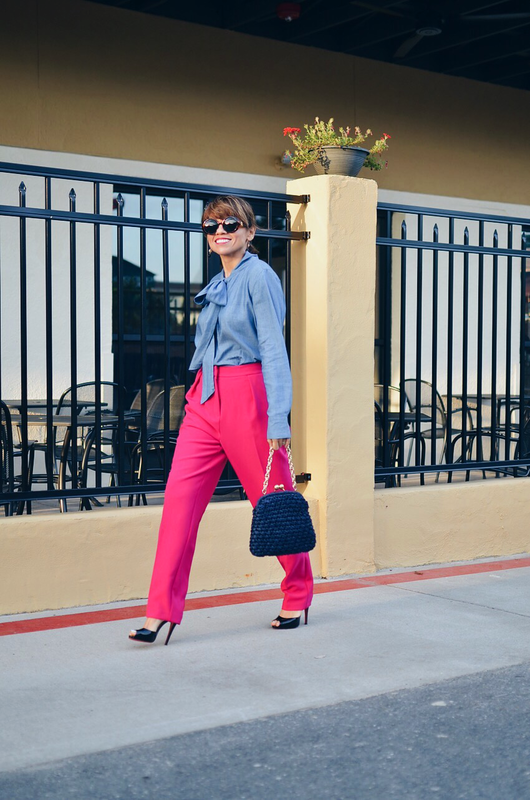 See more looks with these fun pants here, here, here and here. An outfit like this is perfect to cheer up anyone's blues including yours. 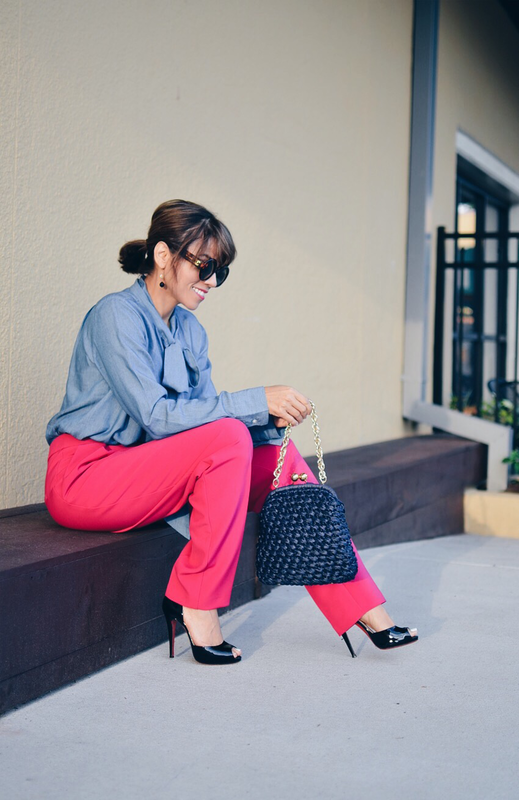 The bright pink pants made a huge difference in this outfit since they brought an outstanding pop of color. You can try to recreate this color-blocked look by also wearing a bright skirt, blazer or even your shoes. And for the pop of color effect, try to wear one bright piece only and wear the rest in less obvious shades. 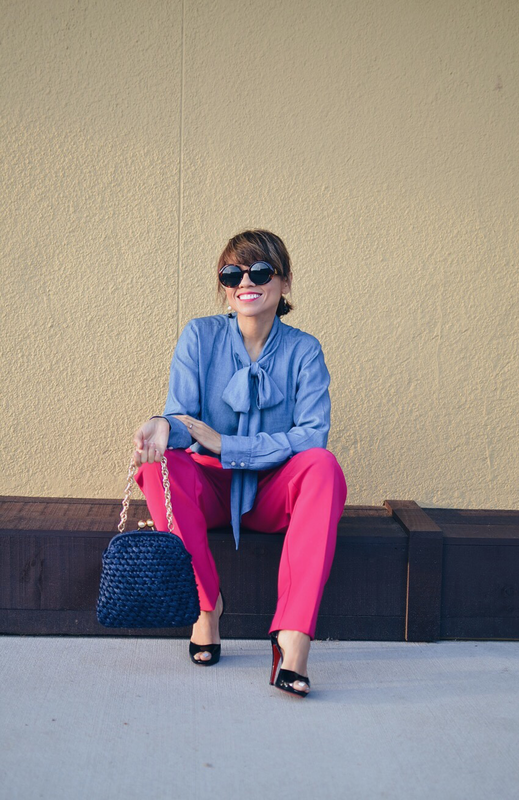 See more looks with this beautiful bow blouse here, here and here.